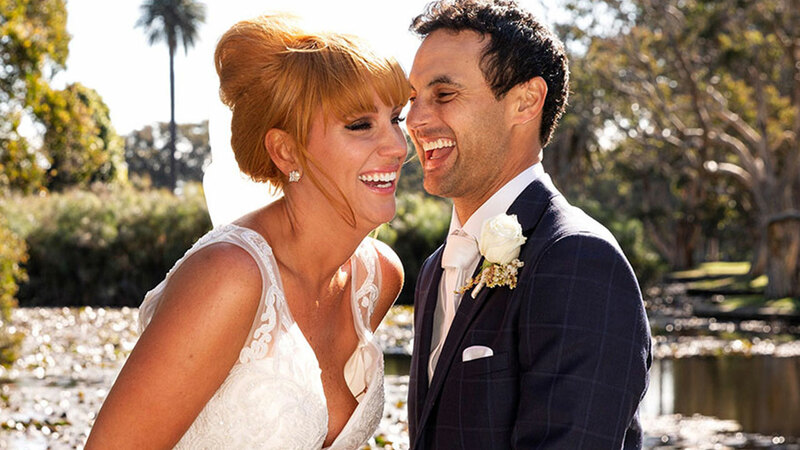 Married At First Sight‘s golden couple Jules and Cam are more loved up than ever. The couple — who met and tied the knot during Season 6’s premiere — said they deliberately waited before sleeping together. “We’ve adulted through this,” the hairdresser and business manager says proudly. “We wanted to make sure that all the foundations and the bond was there before we slept together. We didn’t want to be intimate and for that to be the focus — where it turns into love, not lust. But the cherry on top was that it all happened while the cricket was on. “Obviously we were just having a great day on the couch, watching the cricket and one thing to led to another and [the sound of] leather on willow must have really tickled her fancy and it was game on,” ex-cricketer Cam jokes. Married At First Sight Season 6 airs Sunday at 7pm and Monday to Wednesday at 7:30pm on Nine. Catch up on exclusive interviews and gossip at 9Honey Celebrity. Missed an episode? Get your Married At First Sight recaps here. MAFS obsessed? Tune into 9Honey’s weekly chat show, Talking Married, where you’ll get the inside scoop on every episode. For more on MAFS, including past episodes and behind-the-scenes clips, head to the official site.